‘Scoop out a hole,’ said he again, ‘in a brick, put into it some sweet basil, crushed, lay a second brick upon the first so that the hole may be perfectly covered. Expose the two bricks to the sun, and at the end of a few days the smell of the sweet basil, acting as a ferment, will change the herb into real scorpions. Redi’s experiment disproving spontaneous generation. Buffon lent the authority of his name to the doctrine of spontaneous generation. He even devised a system to explain this hypothesis. In 1745 two ecclesiastics entered upon an eager controversy for and against this question. While the English Catholic priest Needham adopted the theory of spontaneous generation, the Italian priest Spallanzani energetically opposed it; but while in the eyes of the public the Italian remained master of the dispute, his success was more apparent than real, more in word than in deed. The problem was again brought forward in a more emphatic manner in 1858. 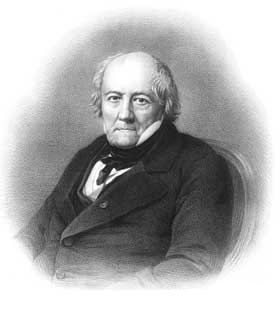 M. Pouchet, director of the Museum of Natural History at Eouen, in addressing the Academy of Sciences, declared that he had succeeded in demonstrating in a manner absolutely certain the existence of microscopic living organisms, which had come into the world without germs, and consequently without parents similar to themselves. French chocolate wrapper depicting Louis Pasteur debating spontaneous generation. How came Pasteur to throw himself into this discussion, at first sight so far removed from his other occupations? The results of his researches on fermentation led him to it as a sort of duty. He was carried on by a series of logical deductions. Let us recall to mind, for example, the experiment in which Pasteur exposed to the heat of the sun water sweetened with sugar and mixed with phosphates of potash and magnesia, a little sulphate of ammonia, and some carbonate of lime. In these conditions the lactic fermentation was often seen to develop itself that is to say, the sugar became lactic acid, which combined with the lime of the carbonate to form lactate of lime. This salt crystallizes in long needles, and ends sometimes by filling the whole vase, while a little organized living thing is at the same time produced and multiplied. If the experiment is carried on further, another fermentation generally succeeds to this one. Moving vibrios make their appearance and multiply, the lactate of lime disappears, the fluidity returns to the mass, and the lactate finds itself replaced by butyrate of lime. What a succession of strange phenomena! How did life appear in this sweetened medium, composed originally of such simple elements, and apparently so far removed from all production of life? This lactic ferment, these butyric vibrios, whence do they come? Are they formed of themselves? or are they produced by germs? If the latter, whence do the germs come? The appearance of living organized ferments had become for Pasteur the all-important question, since in all fermentations he had observed a correlation between the chemical action set up and the presence of microscopic organisms. Prior to the establishment of the facts already mentioned, these difficulties did not exist. The theory of Liebig was universally accepted. 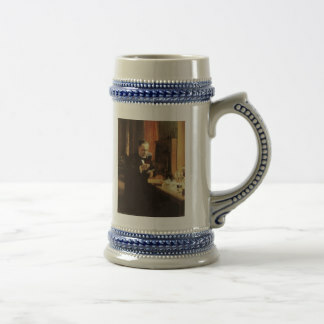 Thus the question as to the origin of microscopic organisms and the part played by them in fermentation was imposed as a necessity on Pasteur. He could not proceed further in his researches without having solved this question. 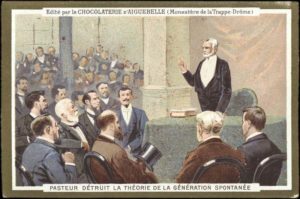 In the month of October, 1857, Pasteur was called to Paris. After having been made dean at an incredibly early age, he was now, at the age of thirty-five, entrusted with the scientific studies at the Ecole Normale Superieure. But if the position was flattering, it did not give to Pasteur what he most desired. As he had no Professor’s chair, he had no laboratory. In those days science, and the higher education in science, were at a discount. It was the period when Claude Bernard lived in a small damp laboratory, when M. Berthelot, though known through his great labours, was still nothing more than an assistant in the College de France. At the time here referred to, the Minister of Public Instruction said to Pasteur, There is no clause in the budget to grant you 1,500 francs a year to defray the expense of experiments.’ Pasteur did not hesitate to establish a laboratory at his own expense in one of the garrets of the Ecole Normale. We can readily imagine the modesty of such an establishment in such a place. Dividing his time between his professional duties and his laboratory experiments, Pasteur never went out but to talk over his daily researches with M. Biot, M. Dumas, M. de Senarmont, and M. Balard. M. Biot especially was his habitual confidant. The day when M. Biot learned that Pasteur proposed to study the obscure question of spontaneous generation, he strongly dissuaded him from entangling himself in this labyrinth. ‘You will never escape from it,’ said he, ‘you will only lose your time;’ and when Pasteur attempted some timid observations with the view of showing that in the order of his studies it was indispensable for him to attack this problem, M. Biot grew angry. 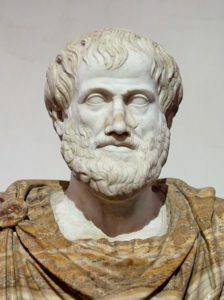 Although endowed, as Sainte-Beuve has said, with all the qualities of curiosity, of subtlety, of penetration, of ingenious exactitude, of method, and of perspicuity, with all the qualities, in short, essential and secondary, M. Biot treated the project of Pasteur as a presumptuous adventure. Pouchet then devised this ingenious experiment. He filled a bottle with boiling water, hermetically sealed it with the greatest care, and plunged it upside down into a basin of mercury. When the water was quite cold he uncorked the bottle under the metal, and introduced into it half a liter of pure oxygen gas, which is as necessary to the life of the smallest microscopic organism as it is to that of the larger animals and vegetables. Up to this time there was nothing in the vessel but pure water and oxygen. Pouchet then introduced a minute bunch of hay which had been enclosed in a corked bottle, and exposed in a stove for a long time to a temperature of more than 100 degrees. At the end of eight days a mouldiness was developed in this infusion of hay. ‘Where does this come from? ‘ cried M. Pouchet triumphantly. Certainly not from the oxygen, which had been prepared from a chemical compound at the temperature of incandescence. The water had been equally deprived of germs, since at the boiling temperature all germs would have been destroyed. The hay also could not have contained them, for it had been taken from a stove heated to 100 degrees. As it was urged, however, that certain organisms could resist this temperature, M. Pouchet heated the hay from 200 to 300 degrees, or to any temperature that might be desired. 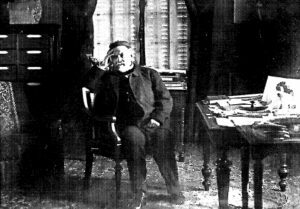 To render visible this floating dust, Pasteur caused the hall to be darkened, and pierced the obscurity by a beam of light. There then appeared, dancing and twirling in the beam, thousands of little particles of dust. Projecting, in the darkness, the beam of light upon the basin of mercury, the liquid metal shone forth with its usual brilliancy. Pasteur then sprinkled some dust upon the mercury, and, plunging a glass rod into it, the dust was seen to travel towards the spot where the rod entered the mercury, and to penetrate into the space between the glass and the metal. Pasteur then instituted experiments exactly similar to those of Pouchet, but taking care to remove every cause of error which had escaped the latter. 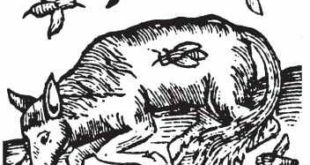 He employed a glass bulb with a long neck, which he bent, and connected with a tube of platinum placed in a furnace, so that it could be heated nearly to redness. In the bulb he placed some very putrescible liquids urine for example. When the furnace which surrounded the platinum tube was in action, Pasteur boiled the liquid for some minutes, then he allowed it to cool, keeping the fire around the platinum tube still active. During the cooling of the bulb the external air was introduced, after having first travelled through the red-hot platinum tube. The liquid was thus placed in contact with air whose suspended germs were all burnt up. In an experiment thus carried out, the urine remains unchanged it undergoes only a very slight oxidation, which darkens its color a little but it exhibits no kind of putrefaction. If it be desired to repeat this experiment with alkaline liquids, such as milk, the temperature must be raised a little above the boiling point a condition easily realized with the apparatus just described. It is only necessary to connect with the free extremity of the platinum tube a glass tube bent at right angles, and to plunge the latter to a depth of some centimeters into a basin of mercury. In these circumstances ebullition goes on under a pressure greater than that of the atmosphere, consequently at a temperature higher than 100 degrees Centigrade. It remained, however, to be proved that the floating dust of the air embraces the germs of the lower organisms. Through a tube stopped with cotton wool, Pasteur, by means of an aspirator, drew ordinary air. In passing through the wool it was filtered, depositing therein all its dust. Taking a watch-glass, Pasteur placed on it a drop of water in which he steeped the cotton wool stopper and squeezed out of it, upon a glass slide, a drop of water which contained a portion of the intercepted dust. He repeated this process until he had extracted from the cotton nearly all the intercepted dust. The operation is simple and easily executed. Placing the glass slide with a little of the soiled liquid under a microscope, we can distinguish particles of soot, fragments of silk, scraps of wool, or of cotton. But, in the midst of this inanimate dust, living particles make their appearance that is to say, organisms belonging to the animal or vegetable kingdom, eggs of infusoria, and spores of cryptogams. Germs, animalculae, flakes of mildew, float in the atmosphere, ready to fall into any appropriate medium, and to develop themselves at a prodigious rate. But are these apparently organized particles which are found thus associated with amorphous dust indeed the germs of microscopic living beings? Granting the experiment devised by Pasteur to verify that of Pouchet to be irreproachable, is Pasteur’s interpretation of it rigorously true? In presence of the problem of the origin of life, all hypotheses are possible as long as the truth has not been clearly revealed. 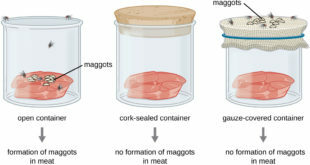 Truly, it might be argued, if fermentation be caused by germs, then the air which has passed through a red-hot platinum tube cannot provoke fermentation, or putrefaction, or the formation of organisms, because the germs of these last, which were suspended in the air, have lost all vitality. But what right have you to speak of germs? How do you know that the previous existence of germs is necessary to the appearance and development of microscopic organisms? May not the prime mover of the life of microscopic organisms be some appropriate medium started into activity by magnetism, electricity, or even ozone? Now, by the passing of the air through your red-hot platinum tube these active powers are destroyed, and the sterility of your bulb of urine has nothing surprising in it. The partisans of spontaneous generation had often employed this apparently formidable reasoning, and Pasteur thought it necessary to strengthen the proof that the cotton wool through which his air had filtered was really charged with germs. By an ingenious method he sowed the contents of the cotton wool in the same liquids that had been rendered sterile by boiling. The liquids became fertile, even more fertile than if they had been exposed to the free contact of atmospheric air. Now, what was there in the dust contained in the cotton wool? Only amorphous particles of silk, cotton, starch; and, along with these, minute bodies which, by their transparency and their structure, were not to be distinguished from the germs of microscopic organisms. The presence of imponderable fluids could not here be pleaded. Nevertheless, fearing that determined skepticism might still attribute to the cotton wool an influence of some sort on account of its being an organized substance, Pasteur substituted for the stoppers of cotton wool stoppers of asbestos previously heated to redness. The result was the same. Swan necked flasks from Pasteur’s laboratory. Wishing still further to dispose of the hypothesis that, in ordinary air, an unknown something existed which, independent of germs, might be the cause of the observed microscopic life, Pasteur began a new series of experiments as simple as they were demonstrative. Having placed a very putrescible infusion in other words, one very appropriate to the appearance of microscopic organisms in a glass bulb with a long neck, by means of the blowpipe, he drew out this neck to a very small diameter, at the same time bonding the soft glass to and fro, so as to form a sinuous tube. The extremity of this narrow tube remained open. He then boiled his liquid for some minutes until the vapor of the water came out in abundance through the narrow open tube. In these conditions the liquid in the bulb, however putrescible, is preserved indefinitely without the least alteration. One may handle it, transport it from place to place, expose it to every variety of climate, place it in a stove with a temperature of thirty or forty degrees, the liquid remains as clear as it was at first. A slight oxidation of the constituents of the liquid, is barely perceptible. 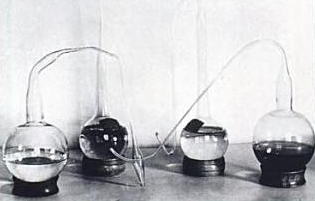 In this experiment the ordinary air, entering suddenly at the first moment, finds in the bulb a liquid very near the boiling temperature; and when the liquid is so far cooled that it can no longer destroy the vitality of the germs, the entrance of the air is correspondingly retarded, so that the germs capable of acting upon the liquid, and of producing in it living organisms, are deposited in the bends of the still moist tube, not coming into contact with the liquid at all. If, after remaining for weeks, months, or even years, in a heated chamber, the sinuous neck of the bulb is snipped off by a file in the vertical part of the stem, after twenty-four or forty-eight hours there begin to appear mildew, mucors, bacteria, infusoria, exactly as in the case of infusions recently exposed to the contact of ordinary air. The same experiments may be repeated with slightly alkaline liquids, such as milk, the precaution being taken of raising them to a temperature higher than that of 100 degrees Centigrade. The great interest of Pasteur’s method consists in its proving unanswerably that the origin of life, in infusions which have been heated to the boiling point, is solely due to the solid particles suspended in the air. Of gas, electricity, magnetism, ozone, things known or unknown, there is nothing in ordinary atmospheric air which, apart from these solid particles, can cause the fermentation or putrefaction of the infusions. If the bulb be tilted so as to cause a little drop of the clear infusion to reach the extremity of the bent part of the neck where the dust particles are arrested, and if this drop be then allowed to trickle back into the infusion, the result is the same turbidity supervenes and the microscopic organisms are developed. Finally, if one of those bulbs which have stood the test of months and years without alteration be several times shaken violently, so that the external air shall rush into it, and if it be then placed once more in the stove, life will soon appear in it. ‘To endeavor by well-contrived experiments to throw new light upon the question of spontaneous generation.’ The Academy added that it demanded precise and rigorous experiments equally well studied on all sides; such experiments, in short, as should render it possible to deduce from them results free from all confusion due to the experiments themselves. Pasteur carried away the prize, and no one, it will be acknowledged, deserved it better than he. Nevertheless, to his eyes, the subject was still beset with difficulties. In the hot discussions to which the question of spontaneous generation gave rise, the partisans of the doctrine continually brought forward an objection based on an opinion already referred to, and first enunciated by Gay-Lussac. 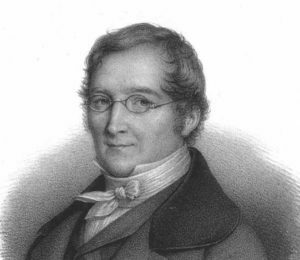 As already known to the reader, Gay-Lussac had arrived at the conclusion that, in Appert’s process, one condition of the preservation of animal and vegetable substances consisted in the exclusion of oxygen. ‘How can the germs of microscopic organisms be so numerous that even the smallest bubble of air contains germs capable of developing themselves in every organic infusion? If such were the case the air would be encumbered with organic germs.’ M. Pouchet said and wrote that they would form a thick fog, as dense as iron. But Pasteur showed that the interpretation of Gay-Lussac’s experiment, with respect to the possible alteration of preserves by a small quantity of oxygen gas, was quite erroneous. If, after a certain time, an Appert preserve contains no oxygen, this is simply because the oxygen has been gradually absorbed by the substances of the preserve, which are always more or less chemically oxidisable. But in reality it is easy to find oxygen in these preserves. Pasteur did not fail to perceive that the interpretation given to Gay Lussac’s experiment was wrong in another particular. He proved the fallacy of the assumption that the smallest quantity of air was always capable of producing microscopic organisms. More thickly spread in towns than in the country, the germs become fewer in proportion as they recede from human habitations. Mountains have fewer than plains, and at a certain height they are very rare. Pasteur’s experiments to prove these facts were extremely simple. He took a series of bulbs of about a quarter of a liter in capacity, and, after having half filled the bulbs with a putrescible liquid, he drew out the necks by means of the blowpipe, then he caused the liquid to boil for some minutes, and during the ebullition, while the steam issued from the tapering ends of the bulbs, he sealed them with the lamp. Thus prepared, the bulbs can be easily transported. As they are empty of air that which they originally contained having been driven out with the steam when the sealed end of a bulb is broken off, the air rushes into the tube, carrying with it all the germs which this air holds in suspension. If it is closed again immediately afterwards by a flame, and if the vessels are then left to themselves, it is easy to recognize those in which a change occurs. Now, Pasteur established that, in whatever place the operation might be carried on, a certain number of bulbs would escape alteration. They must not, however, be opened in a room after dusting the furniture or sweeping the floor, for in this case all the bulbs would become altered because of the great quantity of germs raised by the dusting and remaining suspended in the air. Pasteur started for Arbois with a series of bulbs. Some he opened in the country far from all habitations; others he opened at the foot of the mountains which form the first range of the Jura; a series of twenty four bulbs was opened upon Mount Poupet, at 850 meters above the level of the sea; and, lastly, twenty others were transported to the Montanvert, near the Mer de Glace, at an elevation of 2,000 meters. He afterwards brought his whole collection back to Paris, and in the month of November, 1860, deposited them on the table at the Academy of Sciences. Of the twenty bulbs first opened in the country, eight contained organized productions. Of the twenty opened on the heights of the Jura, five only were altered, and of the twenty opened upon the Montanvert during a strong wind which blew from the glacier, one alone was altered. But some adversaries remained incredulous. When Pasteur had announced the result of his experiments, and brought before the Academy his series of bulbs, Pouchet and Joly declared that if Pasteur had opened his bulbs in the Jura and on the Mer de Glace, they, on their part, had been on the top of the Maladetta, and had proved there the inexactitude of Pasteur’s results. 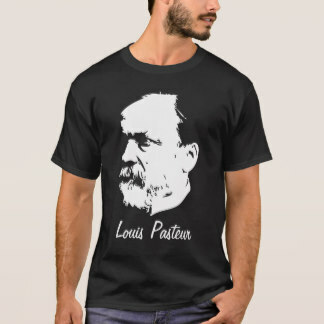 Pasteur asked to be judged by the Academy. ‘A commission alone,’ said he, ‘will terminate the debate.’ The commission was named, and the position on both sides was clearly stated. 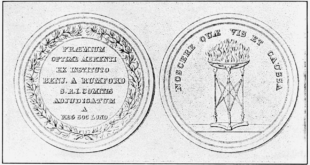 This double declaration, which excited at that time all the learned world, took place in the month of January, 1864. 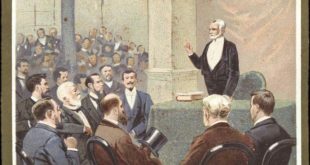 Eager to engage in the combat, Pasteur waited impatiently for the order of the Commission that this experiment, which was to decide everything, should be made. But M. Pouchet begged for a postponement, desiring, he said, to wait for the warm season. Pasteur was astonished, but resigned himself to the delay. The Commission and the opponents met on June 15. The partisans of spontaneous generation wished nevertheless to go through the entire series of their experiments. In vain the Commission tried to persuade them that this would make the judgment as long as the discussion itself had been, that all bore upon one fact, and that this fact could be decided by a single experiment. The heterogenists would not listen to this. M. Pouchet and M. Joly withdrew from the contest.